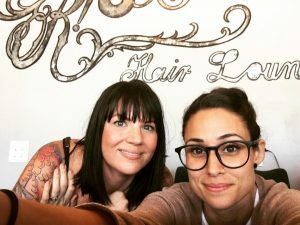 Riot Hair Lounge is a unique space in which all of our Stylists operate independently. Just the same, we accept walk-ins and have normal business hours. Curious to know who’s at Riot Hair? After all, you’re only as good as your team. Stylists & employees will be added as they come on board. 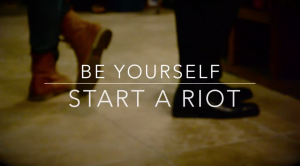 Want to join the Riot Hair team? We’re currently seeking stylists to occupy our unique rental space. You can now book your appointment 24/7, in your skivvies if you want to, by using our online reservation service. Our normal business hours are Tuesday through Saturday from 10:00am to 6:00pm (& Thursday ’til 8:00pm). Extended hours are always available by appointment. Reservations can also be made by calling 561-808-8305 during our normal business hours if you’re old fashioned like that. Or you can just come pop in and say hello… That works too. Our opening party was a blast! Thank you for all of the love & support- we wouldn't be here without all of you. Want to be first to get all the juicy deets? How about a deal here n’ there? Sign up for our newsletter and we’ll send you fun stuff. We will never share your email address with anyone else- because that’s just not very nice.